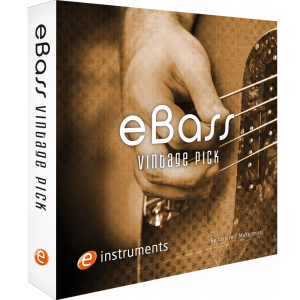 Vintage Pick captures the classic sound of 60s and 70s rock tracks, but it’s a bass tone still loved by many producers today. 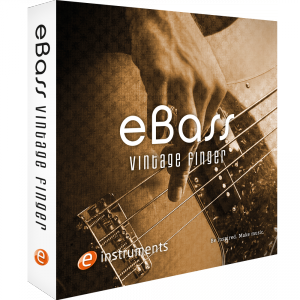 eBass Vintage Finger features flat wound strings played with the finger. Flat wound strings were the string most used throughout the 50s, 60s and 70s. 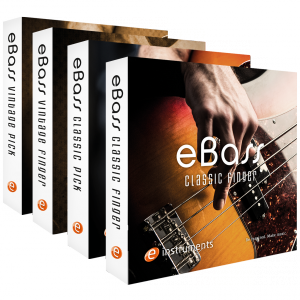 The eBass Classic Pick gives you the definition and edge of round wound strings played with a pick. 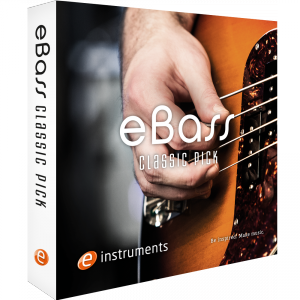 Perfect for modern rock and pop tracks where you want the bass to cut through the mix with that classic pick attack sound. eBass Classic Finger delivers the rich beefy and crisp sound of round wound strings played with the finger, for those who want a bass to sit right in the pocket of the groove.